Our woods operations are focused on harvesting small, otherwise unmarketable trees and logging residue. 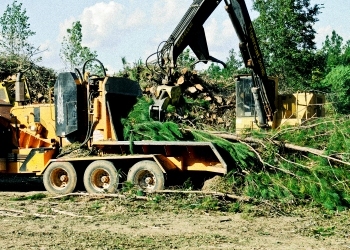 Mobile Forest Products & Biomass is experienced in handling wood biomass fuels from the woods all the way to the mill throughout the Gulf Coast Regions of Alabama, Mississippi and Florida. Our woods operations are focused on harvesting small, otherwise unmarketable trees and logging residue (bark, tree tops and limbs) for other loggers, landowners, and developers.